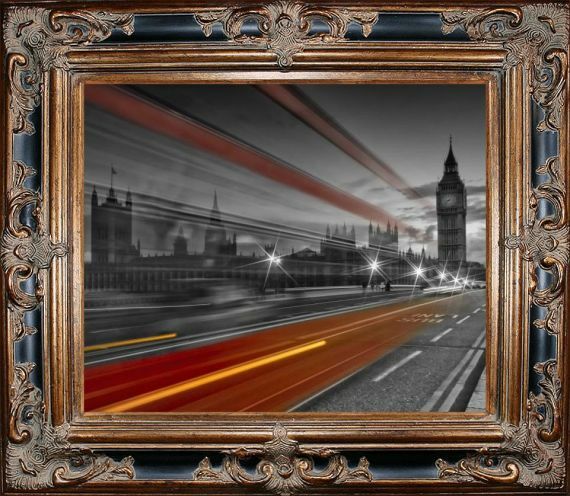 20"X 24" High Quality Canvas Print As part of our growing Artist Become collection, this piece was hand-picked by our staff to showcase the innovative style and technique of one of today's finest artists. 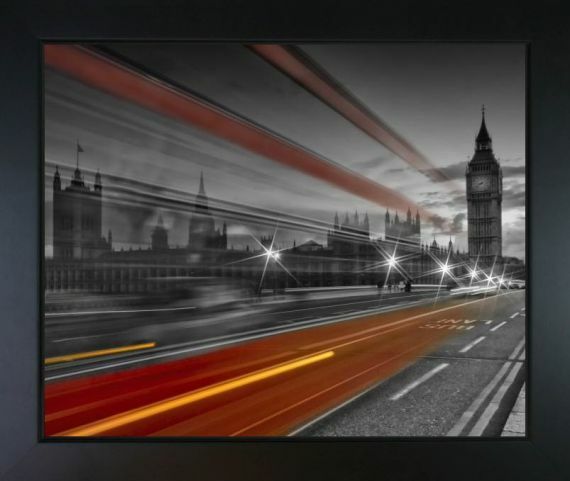 In partnership with the online creative community at ArtistBe.com, we hope to match each customer with fresh and independent creative voices. 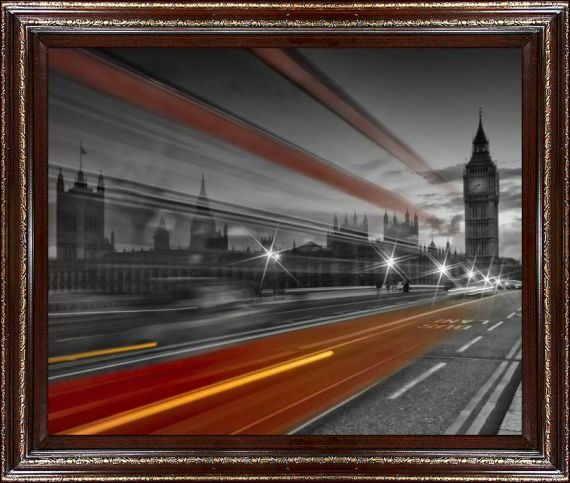 When asked to comment on this contemporary work of art, the artist said: "The Palace of Westminster is commonly known as the Houses of Parliament and is situated in the City of Westminster, in central London. 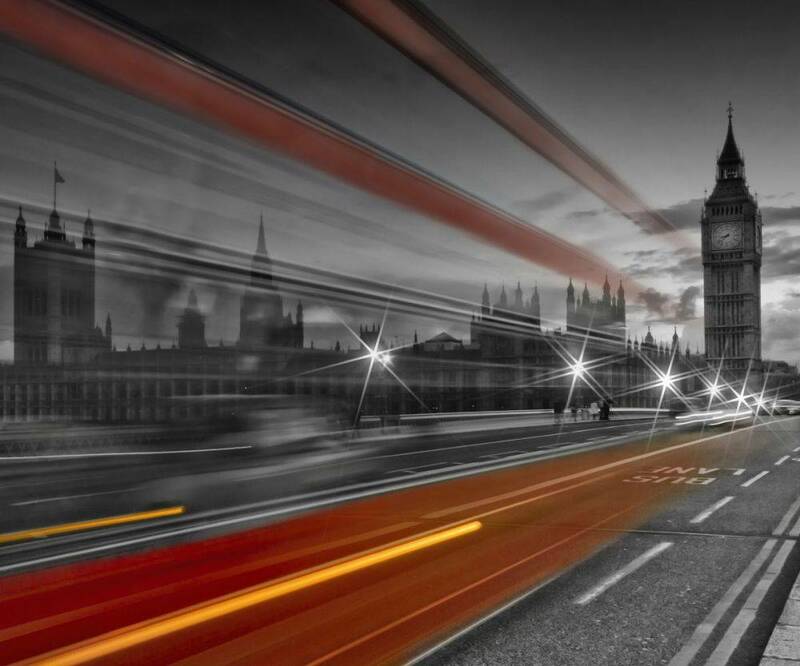 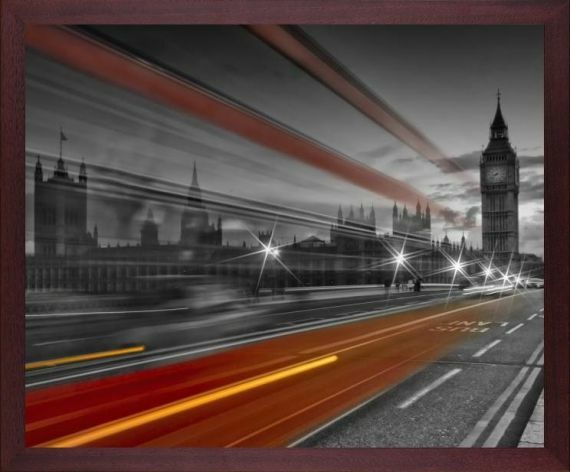 This is a nightscape with a passing red bus on Westminster Bridge." 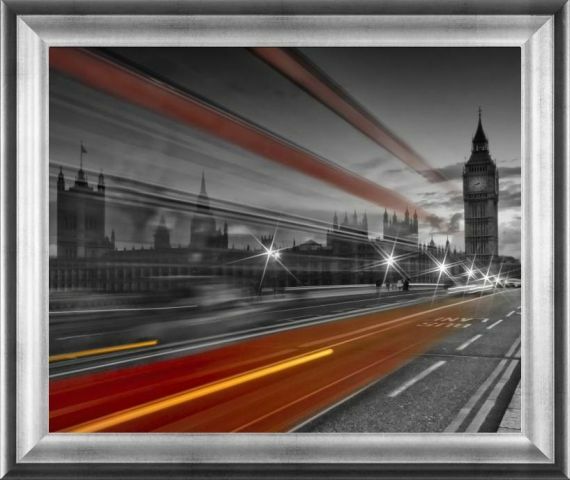 Color Palette for London, Westminster Bridge and Red Bus is empty.